Once the driver is released, he or she should receive a traffic citation for DUI and any other charges related to the incident. If you have not received this citation, we urge you to contact the agency immediately to receive a copy, as without the citation the driver cannot request a formal review hearing. This is important because a formal review hearing allows the driver to make a defense against the DUI and a chance to have the license suspension dropped. The citation is also important because it serves as a temporary driver’s license for up to 10 days after the DUI arrest. A driver only has 10 days after the arrest to contact the Department of Motor Vehicles Bureau of Administrative Reviews to request a Formal Hearing. An attorney can request this hearing on the driver’s behalf. This means a driver without an attorney must request this hearing on his or her own. To request this hearing, the driver must go to the DMV Bureau of Administrative Reviews in the county the arrest took place in. To obtain the hearing the driver must submit a copy of the DUI citation and pay a $25.00 fee. During this time this driver will then receive a temporary driving permit. Once a person receives this permit he or she will be allowed to operate a motor vehicle for work related driving, driving for educational purposes, attendance at religious services, and for medical appointments. There may be other valid reasons that allow a person with a temporary driving permit to operate a vehicle, but a knowledgeable DUI attorney should be consulted first. The temporary driving permit will only be valid for 42 days, during which this DMV will hold the driver’s Formal Review Hearing. If the driver wins this hearing, he or she will regain normal driving privileges. If a driver fails to win the hearing, driving privileges will remain suspended upon the expiration of the driving permit. This remaining suspension can last up to 90 days, and the driver will not be allowed to operate a motor vehicle for any reason during this time. Once this suspension is over the driver may qualify for a hardship license, which will act in the same manner as the temporary driver’s permit. Regardless of the outcome of the formal review hearing, the DUI case will continue in the criminal court system. 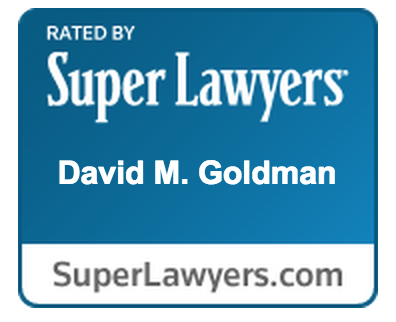 For information on how to receive a temporary driver’s permit or a hardship license after receiving a DUI, contact the Law Office of David Goldman PLLC today at (904) 685-1200. By Thomas Morrison, Juris Doctorate Candidate.